1. How do you feel age affects fashion? 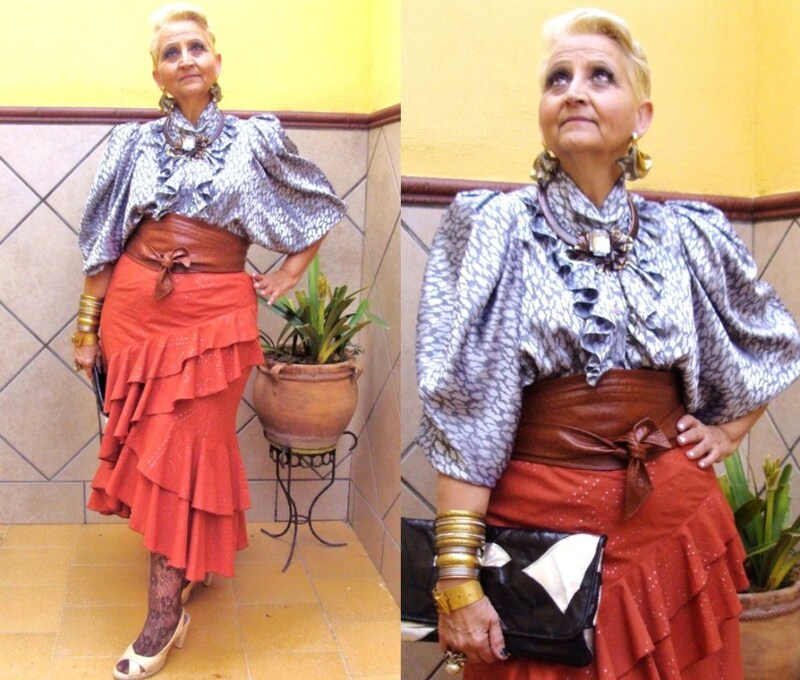 To me age is just a number, and shouldn't´t affect your own style at all. 2. What is your style advice for older women stuck in a rut? -Look at yourself in the mirror, cherish the way you look, and build from there. -It is never too late to find your own style. Look deep within and let it come out freely. 3. Can you share any of your style secrets? I always dress for myself, and to inspire those who cross my path. 4. I would like to think that my style is quirky rather than smart; with the knowledge to distinguish the thin line between quirky and clown. I am An English- Spanish teacher and Nutritionist who has been madly in love with fashion all her life.I see fashion as a means of self expression through clothes. I have been keeping notes and cut-outs in notebooks, (that´s why the name of my blog: MIS PAPELICOS - my little papers or cut-outs) for as long as I can remember. Last 7Th of April , I decided to go a step forward by starting my own blog. P.S. Don't forget to join my ICHIGO shoes & PENSHOPPE giveaway! OMG she's s cool and fab! I wanna be as her when i Grow up, love her is awsome!!! btw i opened my new blog na! cool! She's the one already! Translation: sha na! OMG this lola just kicked all of our asses! oh i love her. thanks for sharing.